Paoay may be just a humble town located in Ilocos Norte, but it is bustling with a lot of historical gems that would make you want to come back over and over again. St Augstine Church – Without question, one of the most attractive churches that is found in the Philippines. This church is also best known simply as the Paoay Church and is also called the “Earthquake Baroque” church in the Philippines. It was started by Augustinian friars in 1694 and completed in 1894. The church is one of the Baroque Churches of the Philippines and is included in the UNESCO World Heritage List. Malacañang of the North – Paoay is the hometown of one of the former presidents of the Philippines, Ferdinand Marcos. The Malacañang of the North was the official residence of the Marcos family in Ilocos Norte. It’s been converted to a museum that’s open to public. Paoay Lake – Right next to the Malacañang of the North is the very picturesque Paoay Lake. The lake was declared as a national park in June 1969. Based on legend, an affluent town used to exist in the lake and it was buried beneath it as a punishment for people wanting material possessions. 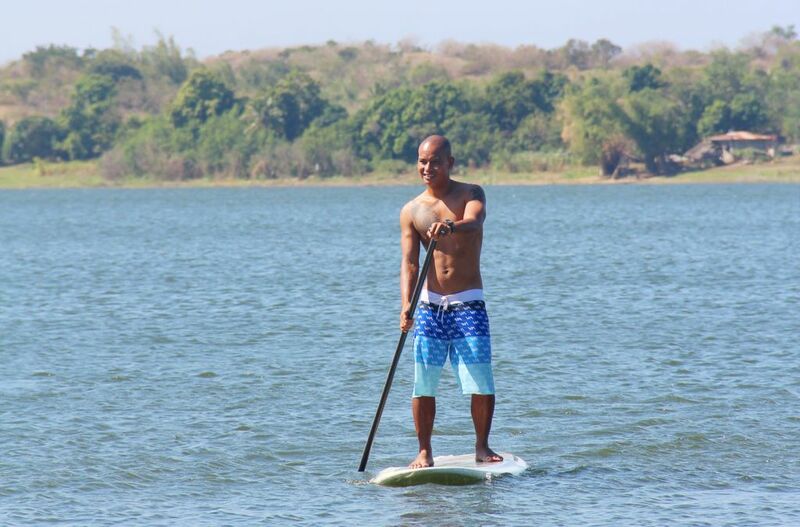 Activities that can be done on the lake include swimming, boating, kayaking and fishing. By Bus. Board a bus that is bound for Laoag (capital city of Ilocos Norte). The trip will take around 10 to 12 hours, depending on traffic conditions. 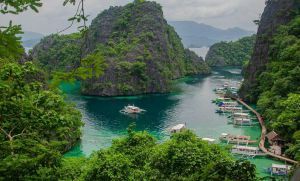 There are several bus companies that offer this kind of trip, including Partas, GV Florida Transport, Dominion Bus Lines, Philippine Rabbit and Fariñas Transit. By Plane. 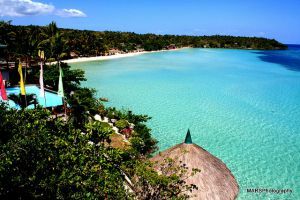 Take a direct flight to Laoag through Cebu Pacific or Philippine Airlines. The trip will take an hour and the flights are usually during the night. Once you’re at the Laoag City proper, you can choose to ride a jeepney or hire a tricycle to take you to Paoay. Whether you’re trying to get to Laoag from Cebu, Iloilo, Davao or any other place in the Philippines, it’s best to catch a flight to Manila. From there, take the bus to Laoag where you can then take a jeepney or a tricycle to Paoay. Really enjoying your trip to Paoay starts with preparation, especially if you’re taking the bus. If that is the case, make sure you take the night trip so that you arrive in Paoay during the day. Dine at the Herencia Cafe. Located on McArthur Street in Sangladan, Paoay, you will enjoy the colonial atmosphere, great views and of course, delicious food. Visit the ruins of the church convent. 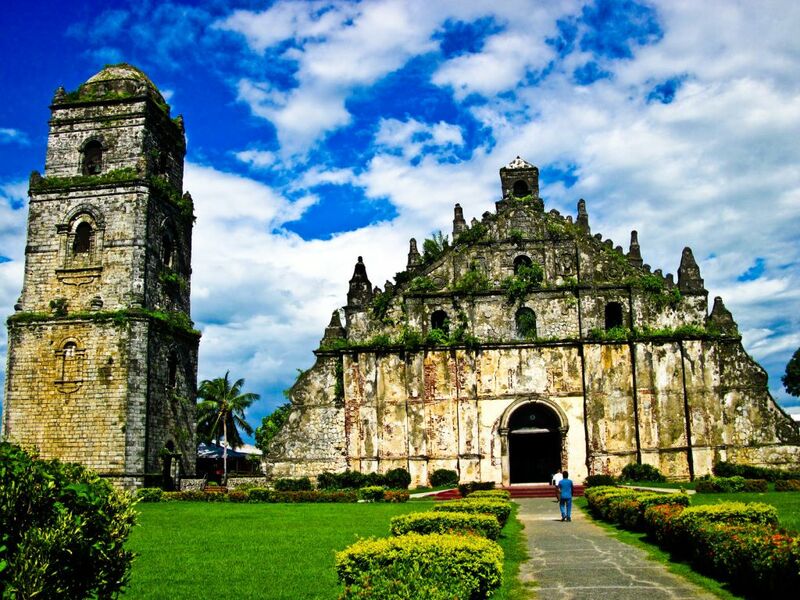 It’s not a secret that the Paoay Church is THE attraction that most people love to see. However, just across the church Is the church convent. Yes, it may be ruined, but it is still a sight that is interesting. Take a tour of the heritage houses. Just behind the ruins are several heritage houses that will delight those who love old homes. There is the Duque House or Octagon House which was built in 1930s and features an American colonial design. Also on the road where the Paoay Central School is located are the Diaz House and the Carpio House. If you love to find historical gems in a really small town, you wouldn’t regret visiting Paoay. So, what are you waiting for? Pack a bag and head over to this destination that is just irresistibly charming.